One of the things that I've tried to do recently is cut back on my dairy intake. This poses a bit of a problem as Mexican food is a pantry staple at our house. We eat Mexican-inspired dishes A LOT. 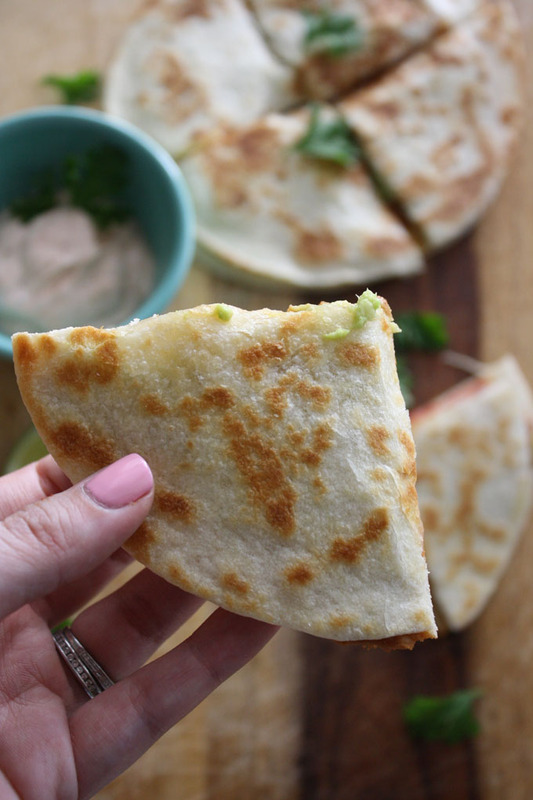 Thankfully, I put on my thinking cap and created this easy avocado quesadilla recipe that uses the simplest ingredients from Old El Paso found in a breeze at your local Publix. This recipe calls for just four main ingredients - plus one little treat on the side. 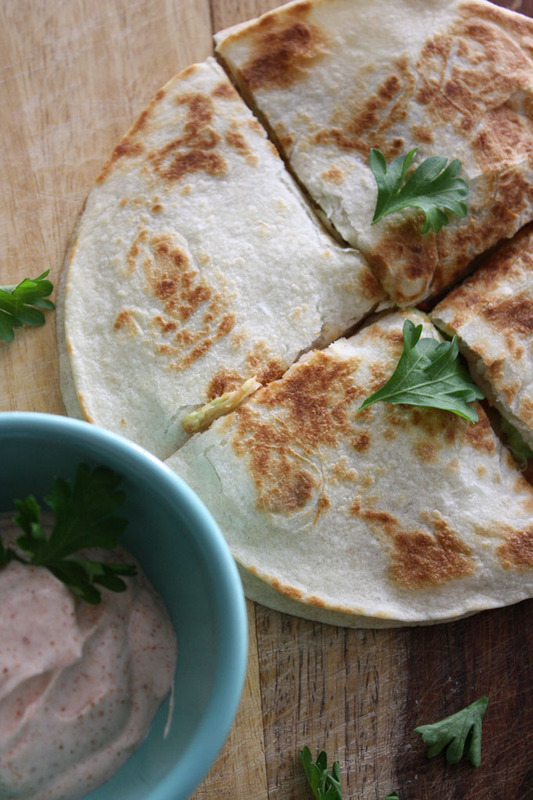 Have you ever made a quesadilla without cheese? Probably not, but I'm here to tell you that this healthy twist on an old classic won't make you miss the cheese at all. Not one bit! The trick is to use avocados from Mexico in place of the cheese. Add a small scoop of Old El Paso refried beans (doctored up with another Old El Paso favorite), a few tomatoes, a squeeze of lime, and you're ready to go! Try this recipe for meatless Monday next week. You'll feel all proud of yourself for skipping meat AND cheese, and your family will thank you. Oh, and definitely feel free to pair this with my favorite margarita recipe! The best part? 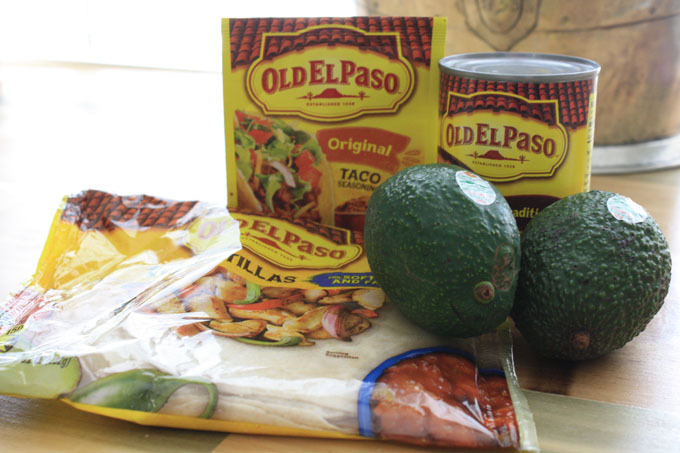 You can save $1.00 when you purchase 3 Old El Paso products at Publix. That takes this meal down to basically cents, y'all! Begin by heating a skillet over medium low heat. Scoop your avocado into a small bowl and mash. Add 1/4 lime to prevent browning along with salt and pepper to taste. Set aside. Scoop can of refried beans into a small bowl. Add 1/2 package of Old El Paso taco seasoning and stir. This will give the refried beans a little more flavor without over-powering them. Add a dollop of the avocado mixture to one side of one tortilla and spread evenly to the edges. Place this in the skillet and add 2-3 slices of tomato on top. Next, add a dollop of the refried beans mixture to one side of another tortilla. 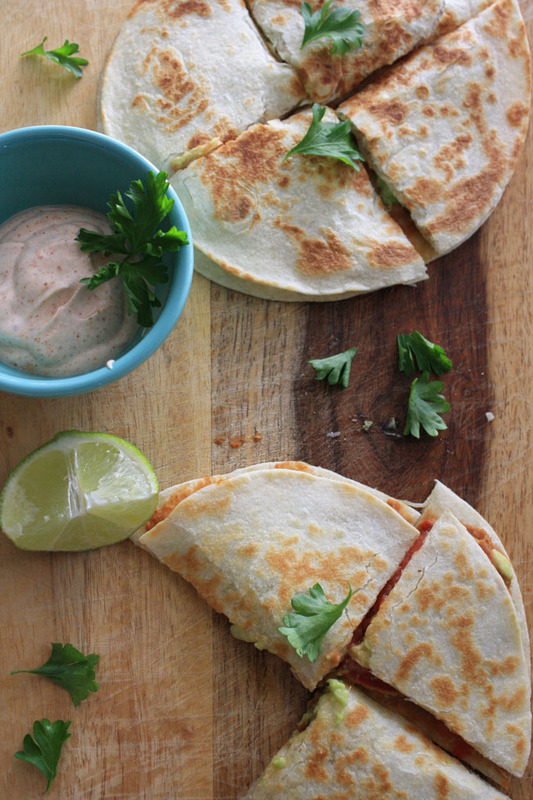 Place bean side down on top of the tomatoes to create your quesadilla. Cook 2-3 minutes per side, or until golden brown. Repeat the procedure. Add 1/2 cup of sour cream to a small bowl & mix with the remaining 1/2 package of taco seasoning. Use on the side as a dipping sauce for a little extra flavor. You can totally skip this and make this meal completely dairy free, though! Don't forget that all of these ingredients are on sale at Publix now, so be sure to add them to your cart this weekend. Enjoy your #summerfiesta! Yum! These look so so good! I am stopping over after seeing your post on my Linqia dashboard. Great recipe dear! I know what I'm having for dinner tomorrow! YUM!! !